I've always had a thing for army green, so the moment I saw this vest, I knew I had to have it. 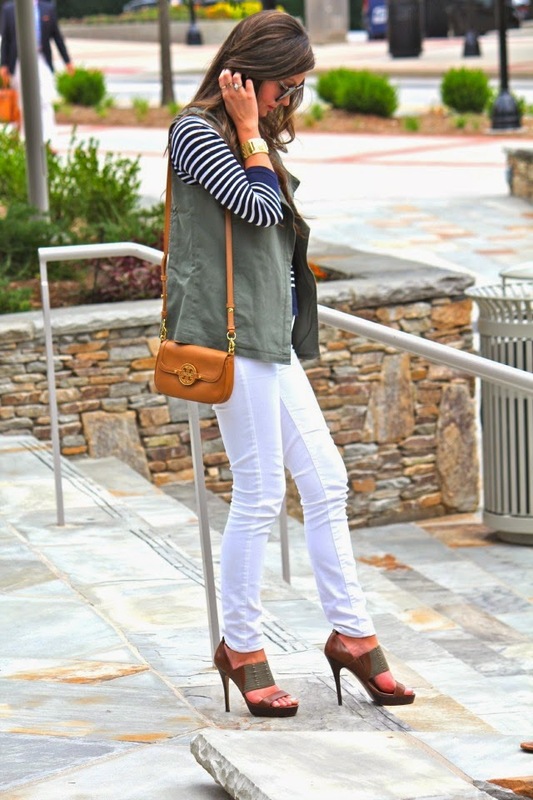 I don't typically swoon over vests, but I love pairing army green with navy stripes (which I do have a lot of -#nauticalobsession), so I went for it. It's such a great price point and can be mixed with several different prints + colors. Such an easy outfit for day to night transition, which is exactly what I did. I wore this to work during the day (with Tory flats) and changed into heels before heading out to the Anthropologie Birthday Event in downtown Greenville last night. All day perfection! Loving the army green and navy blue combo! And those shoes are simply perfect with your outfit. Love this look! 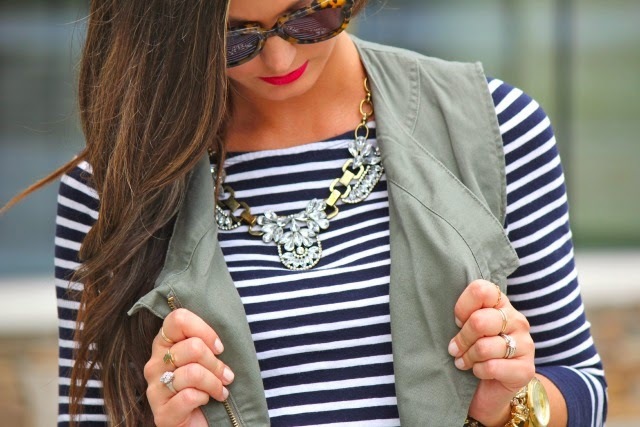 The stripes and army green vest pair so well together! Love your style! Navy and army green are one of my favorite combos! You can't go wrong with it! I get a ton of wear out of my military vest! this is fantastic layering! love the color combo too! This is a great combo! I struggle with vests sometimes, but this is perfect! 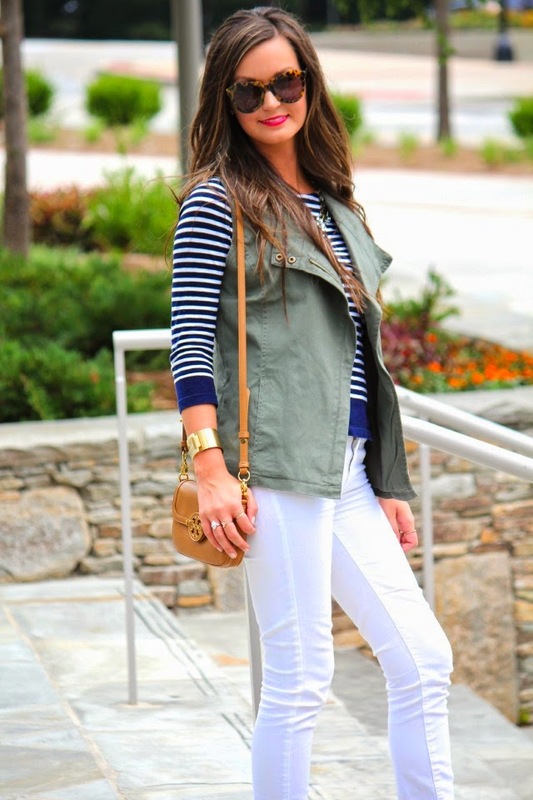 Loving the navy/white stripe with olive green combo - I've been searching for the perfect vest to pair with my stripes. Have you considered styling olive green with turquoise and a light purple? That's a really pretty combination too! 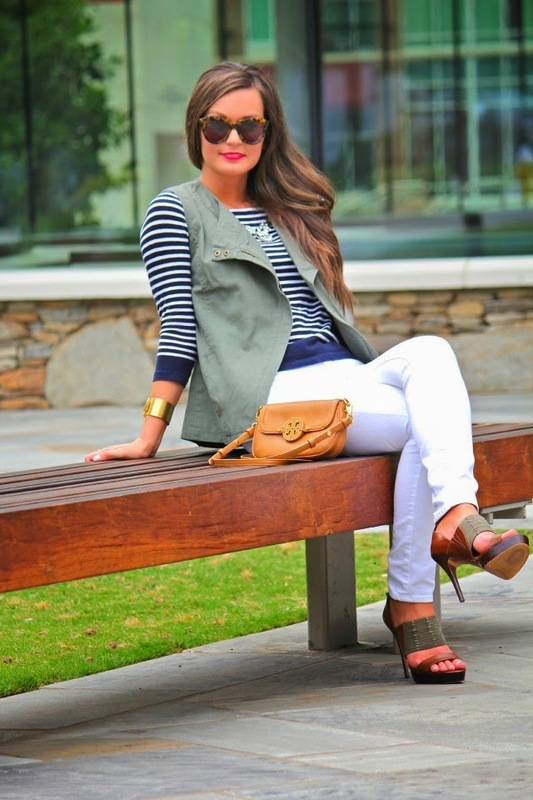 Love the olive and navy color combo! You look gorgeous! 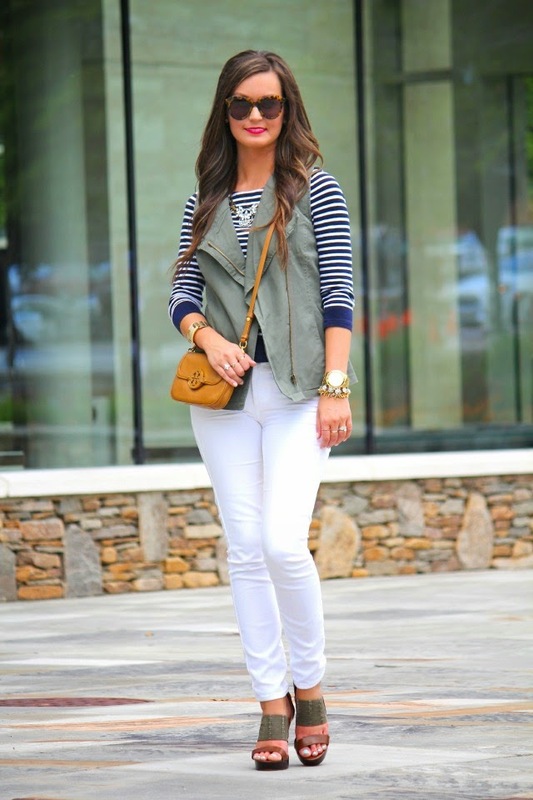 I love your shoes and that vest really adds something extra to the outfit!